We do not post the start times of age heats because it is essential that everyone rack their bikes before all races start. The Athlete Briefing at 9:30am is essential for day-of-race safety and route information. We will endeavor to have the longer races for the older athletes start earlier. We recognize that it makes for a long and tedious day for those athletes to wait until late-morning to begin. 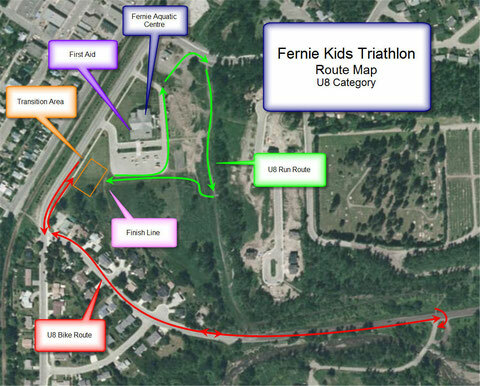 Information for parents and athletes about race day, and some helpful hints for new comers. Swim: ages 4-7 will be permitted life jacket. Athletes must provide their own life jacket. Water wings and other flotation devices are not permitted. 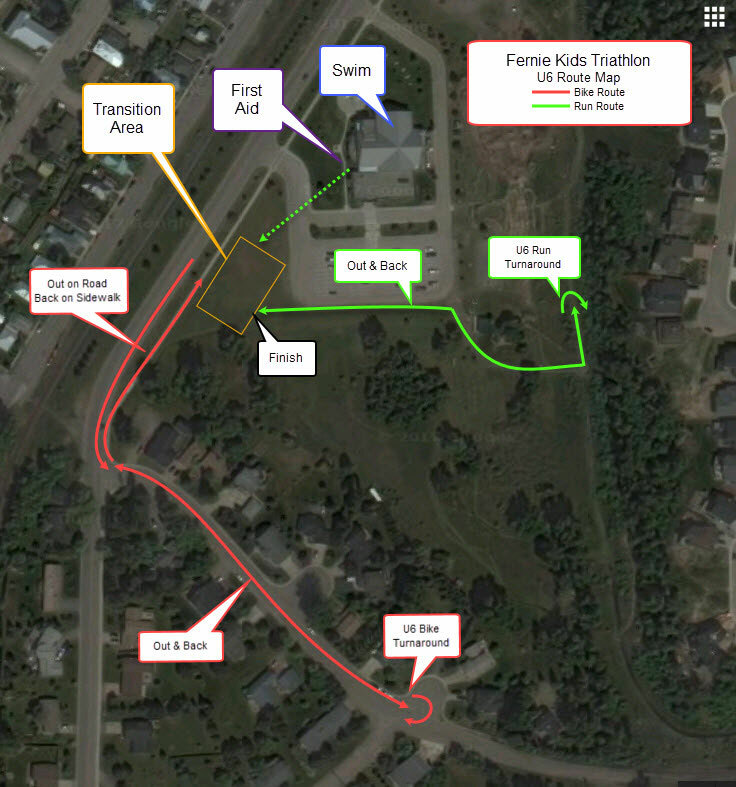 Bike route: From Aquatic Centre, go west on Pine Avenue (sidewalk); turn left onto Coal Creek Road. Run route: From Aquatic Centre, route will briefly be on the Pine Avenue sidewalk, pass through the dirt jump park parking area, onto the Trans Canada Trail and then onto the Coal Creek Trail. Timing and Placing: Timing is done manually. We do not employ chip timing and therefore athletes will not have individual times for the separate phases, nor their transitions. Certificates are provided for each gender for the top three athletes in each age group. Please note there will not be timing or placing in the U6 category. This is an introduction-level age group. The emphasis is on being active and having fun.